Andy is a native of Sioux Falls. Born and raised in this great city, Andy is a graduate of Washington High School. His professional career has encompassed many different fields including hospitality, management, real estate sales, and financial services. Andy left Farm Bureau Financial Services in 2014 and entered the RV industry, but never really felt at home. In October 2017 he returned home to the financial services sector that he is so passionate about when he became an independent agent with Providence Financial. As an independent agent, Andy works with multiple companies to make sure his clients are properly covered for life's curve balls while keeping as much of their hard-earned money in their pockets as possible. Andy has been married to his wife Jenna since 2010. They have one daughter, Kadence. In his spare time, he enjoys spending time with family, golfing poorly and watching sports. Andy's email address is andy@profinancialsd.com. Angie grew up in the Brandon area. 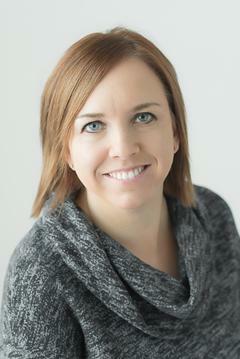 She began her insurance career in late 1999 as an associate for a State Farm Insurance office in Madison, SD. She was also an associate with State Farm offices in Sioux City, IA, Brandon and Sioux Falls. While at State Farm, she was passionate about helping her clients with their insurance needs, specifically life and health. In 2017, Angie joined Farm Bureau Financial Services as an Assistant Agency Manager. 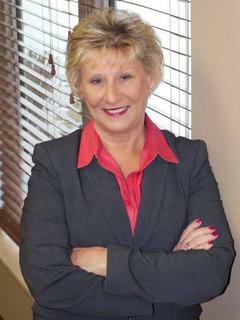 While at Farm Bureau, she assisted agents with marketing plans and sales goals. She recruited agents, and mentored others by offering sales direction, encouragement and advice. Angie and her husband Jason have two children, Samantha and Ayden. Angie enjoys running and working out. In her spare time, she makes the most of family time with her children and husband. At Providence Financial, Angie is an independent agent that works with individuals, families and businesses to provide insurance needs by determining the best products and services to reach her clients' goals. Angie's clients would describe her as helpful, thoughtful, knowledgeable and experienced. Angie's email address is angie@profinancialsd.com. 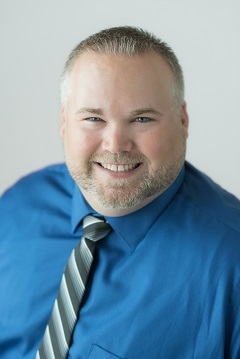 Bryan began his career with Modern Woodmen of America as a Financial Representative in 2000. He enjoyed helping his clients plan for their financial future and protect themselves along the way. In August of 2012 Bryan was appointed to Managing Partner and started to build his own district of financial representatives for Modern Woodmen of America. Bryan has earned the Career Development Award, Rookie of the year, and Modern Woodmen's National Sales conference many times. He was also president of his local NAIFA chapter for four years. Bryan and his wife, Alaina, have a 16 years old son, Landen. They lived in Pierre, where Bryan was born and raised until 2014 when they moved to Sioux Falls. Bryan enjoys time with family and friends as well as camping, hunting, and fishing. He also coached baseball and football for many years. Bryan's passion is to help as many people as possible in his life and career. Bryan's email address is bryan@profinancialsd.com. Joey was born in West Point, NE. He lived in Nebraska most of his life. He graduated from Bancroft-Rosalie High School in 1997. He then attended University of Nebraska-Lincoln from 1997 to 2003. 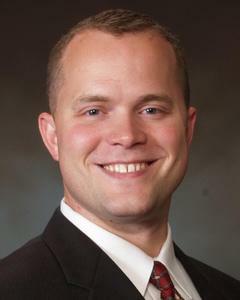 Joey began his career in the financial services industry in June 1997 with Union Bank & Trust Company in Lincoln, NE. He entered the insurance industry in 2002 offering fixed annuities with Union Agency. In December 2003, Joey left the financial services world and started a brief venture as a home-based construction materials salesperson. 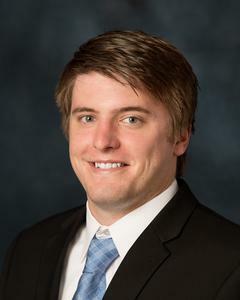 In December 2006, Joey moved to Sioux Falls, SD to begin a career as a real estate agent. In December 2011, he reignited his passion for serving the financial needs of his clients by becoming an insurance agent for Farm Bureau Financial Services. Joey worked as an agent with Farm Bureau Financial Services from December 2011 until August 2017. 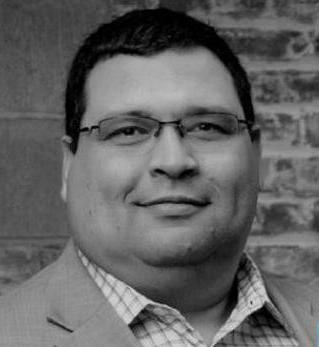 Joey left Farm Bureau Financial Services to open Providence Financial, Inc. as an independent agency in September 2017. As an independent insurance agent, Joey is embracing the responsibility to provide his clients the best service and the best coverage, at the best possible price. Joey is an active member of Gloria Dei Lutheran Church and a passionate supporter of Kingdom Capital Fund in Sioux Falls, SD. He is married to Kassie and has a son, Tristan, and a daughter, Trinity. Joey enjoys spending his spare time with his family, playing golf with his friends, and watching Husker football. Joey’s email address is joey@profinancialsd.com. Jaimee's email address is jaimee@profinancialsd.com. Joshua grew up outside of Harrisburg, SD and attended Harrisburg High School. Joshua then went on to pursue a degree in Financing at the University of South Dakota's Beacom School of Business from 2010 to 2015. Soon after college Joshua returned to the Sioux Falls area and began working with a catering company providing wedding and event planning. He quickly realized this was not his passion. He then began a career at Farm Bureau Financial Services as an Insurance Agent. Josh left Farm Bureau in November of 2017 and joined the Providence Financial Team. Being able to work with several companies to provide the client the service and coverages they need, at a competitive price, is a blessing. He has always had a passion for going out of his way to help others, which translates well into properly protecting a client's assets. Joshua was recently engaged in the spring of 2018 to his beautiful Fiancée, Kara. The wedding will be in the Summer of 2019. They have a dog, named Roman, whom they spoil like a child. In Joshua's free time he enjoys spending time at his parents' lake home on Lake Madison, SD, pretending he is a decent golfer, and watching Packers football and Cleveland Indians baseball. Joshua’s email address is joshua@profinancialsd.com. Kassie’s email address is kassie@profinancialsd.com. Laurie's email address is laurie@profinancialsd.com. Mark was born and raised in Newcastle, NE, just across the river from Vermillion, SD. In 1985 he moved to Sioux Falls and began a career in the wholesale building material industry. He started in the warehouse and was later promoted to Territory Representative. He continued this role for 27 years. In April 2012, Mark decided to take on a new challenge in the financial services industry. He became an insurance agent at Farm Bureau Financial Services. 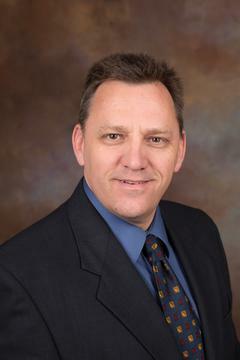 In September 2018, Mark left Farm Bureau and joined Providence Financial, Inc as an independent insurance agent. Mark has four children: Michael, Lauren, Spencer and Taylor. He is a member of Holy Spirit Church and enjoys coaching junior football, golfing and a range of other activities including participating in Tough Mudder events. Mark’s email address is mark@profinancialsd.com. 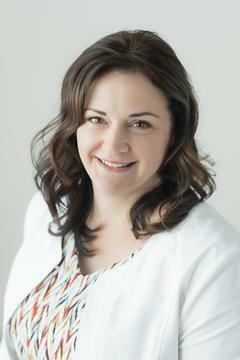 Renae began her insurance career working as a commercial lines underwriter, agency manager, and a branch manager. After 23 years, she moved to the direct customer relationship as a licensed independent insurance agent. While serving as an independent agent, Renae also had the opportunity to work as a COO for a large insurance agency and was a partner of a property casualty brokerage firm. 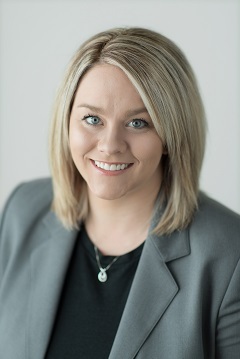 Renae has attained the Chartered Property Casualty Underwriter (CPCU) and Certified WorkComp Advisor (CWCA) designations. Her training has given her the tools to identify and mitigate the key factors driving up the cost of insurance for business owners. In 2007, Renae started Assurgo and specialized in Pay as You Go Work Comp. Assurgo provided all commercial lines products and also offered bookkeeping and payroll services. Assurgo had the opportunity to serve many business owners to help them smooth the ride of cash flow, employee claims, return to work programs, and overall cost of doing business. In early 2018, Renae realized she wanted to eliminate the administrative work of owning a business and focus on her passion for serving her clients. Joining with Providence Financial has enabled her to do just that. It is Renae's goal to work with our business clients at a deeper level, using the experience and knowledge that she has attained along the way to do whatever it takes to help them grow and become more profitable. 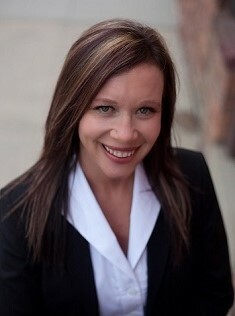 Ultimately, Renae delivers business owners "Peace of Mind" by helping them move their business forward inside and out. Renae and her husband, Jeff, have four children. Renae and Jeff are passionate about supporting the SDSU Jackrabbits in all sports. Renae's email address is renae@profinancialsd.com.